Two Australian universities, both conducting health and exercise research projects, are looking for participants. 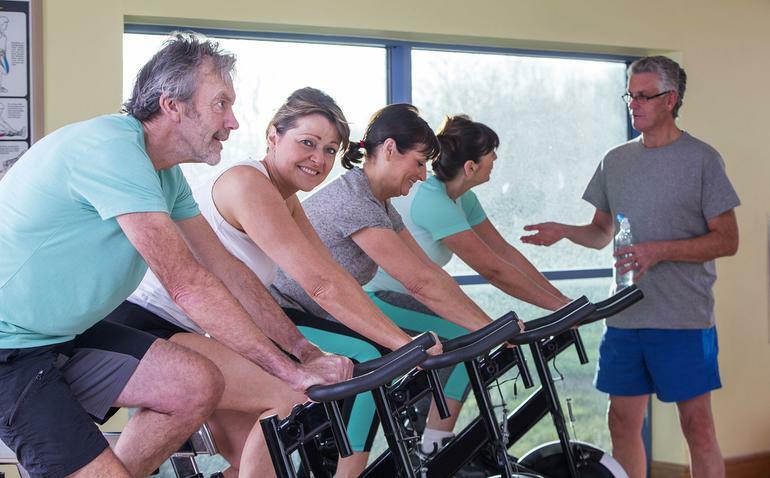 Flinders University in Adelaide is doing a study into whether fitness is related to employment in over 60’s, and the Brain and Mind Centre, part of University of Sydney, is examining the effect of exercise in older people with early stage Alzheimer’s. A research study into the effect of exercise and group education on the wellbeing (mood, sleep and general health), cognition and metabolism in older people with early stage Alzheimer’s disease is looking for participants. If you are aged over 60, have a diagnosis of early stage Alzheimer’s Disease and live within 25km of the Brain and Mind Centre at 94 Mallett Street, Camperdown, NSW, you are encouraged to apply. Called CogStep, the study will consist of an individually tailored home-based exercise program designed to improve muscle strength and fitness, and one 2-hour session at the Brain and Mind Centre over a 12-week period. The session will be for education and includes a motivational/troubleshooting group discussion to address any issues and/or answer any questions. Carer or family members are encouraged to participate in the home session as well as the education sessions at the Brain and Mind Centre. Studies take place in 12-week intervals until 30 June 2017. If you are not selected for the first 12-week study, you will be placed on a waitlist and invited to participate in the next available exercise intervention study. Unfortunately people who do not speak fluent English, have other major neurological problems (e.g. stroke, epilepsy, head injury), have sleep apnoea, have severe Alzheimer’s Disease or another type of dementia, are taking Benzodiazepines (e.g. Valium, Normison) or Cholinesterase Inhibitors (e.g. Aricept, Reminyl) or are already engaging in a high level of physical activity are not eligible for this study. As information about any changes in behaviour, cognition or mood of participants will also need to be recorded, a spouse, family member or carer will need to live with participants throughout the 12-week study period. For further information, please contact Dr Shantel Duffy on (02) 8627 1807 or email shantel.duffy@sydney.edu.au. With the retirement age been raised to 67 in the next 7 years, Flinders University is conducting a study into how healthy and fit older adults are and how this may related to employment. If you are aged between 60 and 69, live in metropolitan Adelaide and want to know more about your fitness and health, Finders University would be keen to hear from you. The study will involve pre-exercise screening and being tested on an exercise bike wearing a heart monitor. After, you’ll be given a health and fitness report and a light breakfast. For more information please contact Dr Lynda Norton on 08 8201 5830, or e-mail Lynda.norton@flinders.edu.au.